One of the most significant things I’ve learned through our travels is the ability to adapt. On the road, things very rarely go as planned. Sometimes the surprises are amazing. Sometimes, not so much. And I firmly believe that our happiness is based upon how we react to things falling apart. Reece and I have gotten pretty damn good at staying calm in these moments, if I do say so myself. Lately, we’re taking it a step further and learning to deftly switch gears, turning the bad times around before they have any time to fester. The main reason we rented a car to do this road trip at all is because I wanted to visit the Picos de Europa. 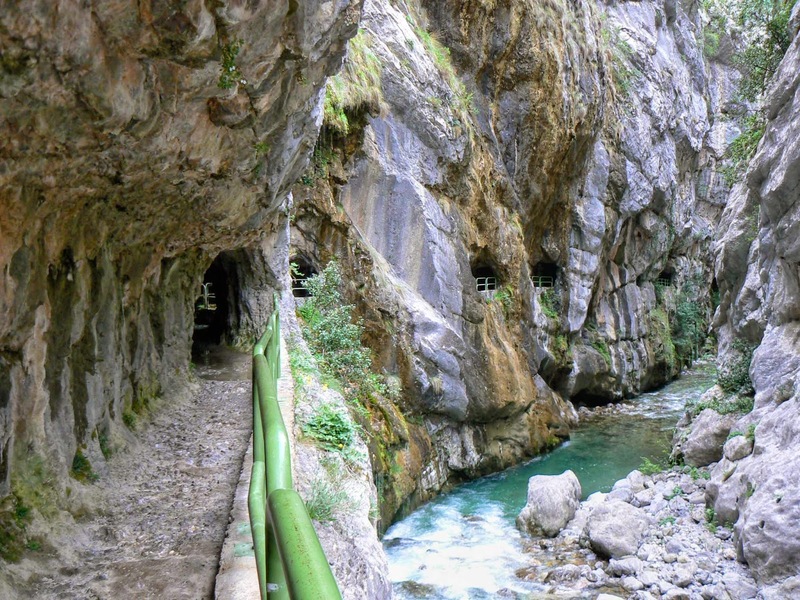 Meaning “Peaks of Europe”, this mountain range promised breathtaking scenery, isolated villages, and a very famous hike inside a gorge that is reputed to be one of the most stunning experiences in all of Europe. We’ve been indulging in the food and wine arts quite a bit here in Spain, and were looking forward to some exercise in the great outdoors. Well, wouldn’t you know it, when we arrived to the national park we couldn't find a single open place to stay. Everything appeared to be shut down for the season as we drove around in frustrating circles. Dead ends, one way streets, and narrow alleys tested my patience at every turn. Our attempt to park and investigate on foot was thwarted by pounding rain, and our navigation system decided to stop working in the inclement weather. I was tired, soaked, disappointed, and basically at the end of my rope, when we decided to just move on. If this village didn’t work for us, we’d find one nearby that did. Fast forward through several more small towns dotted amongst the dramatic peaks. Nothing. We visited tourist offices (closed). We knocked on doors (no answer). The sun was falling quickly and this was not working out for us. So, we parked the car, opened up the guidebook and changed plans. Next stop: Cangas de Onís! 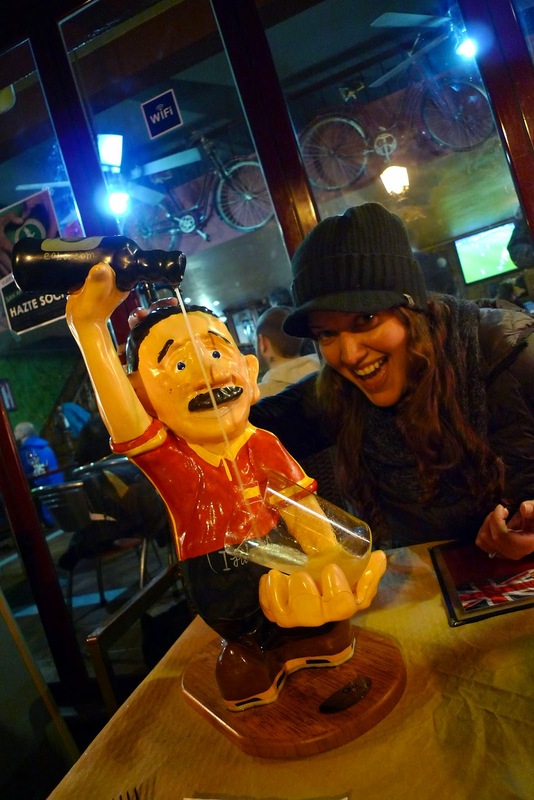 The cheese and cider capital of Austurias, for some good old-fashioned pub-hopping to lift our soggy spirits. Onward we drove until the clouds parted, we found a suitable place to stay, and enjoyed one of the most fun nights we’ve had yet. This is what we WOULD have seen, if the Travel Gods had cooperated. This is what we saw instead. 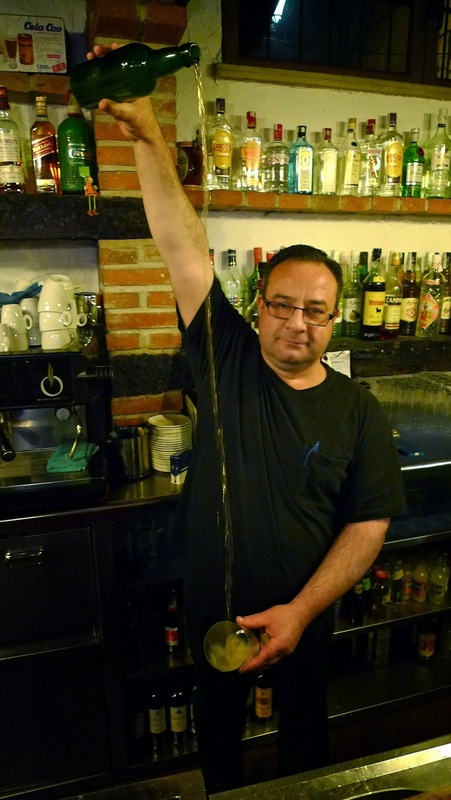 The famous apple cider of this region (which tastes, alarmingly, like blue cheese) is poured from the highest height your bartender can muster, to produce a little fizz and make the taste more enjoyable. It's customary to swig the pour in one sip (don't let any sit in the glass! ), and give the man nod every time you're ready for replenishment. In the lazier establishments, they have these cute little machines to do the fizz-work for you. Well, at least our livers are getting some exercise.